Giving you the latest scoop, news and information of top celebrities on entertainment industry - music, movie and TV series. Read the highlights and their secrets to their award winning achievements. And know their latest projects. Mario Maurer, the Thai heartthrob who took Asia by storm by his movies “The Love of Siam” and “Crazy Little Thing Called Love,” has inked a one-movie project with Star Cinema. Maurer signed a one-movie contract with Star Cinema on Wednesday. He also revealed that the film is going to be shot in Thailand and the Philippines and that it is slated to be shown in 2012. He is looking forward to meet Erich Gonzales, his upcoming leading lady in the movie, very soon. The Thai actor arrived in Manila on Wednesday to shoot an ad campaign for Penshoppe. Tomorrow, October 28, he will be at the Philippine International Convention Center (PICC) for his fan conference and on October 29, he is set to headline the Philippine Fashion Week at the SMX Convention Center in Pasay City. TORONTO: Chinese actress Li Bing Bing will join the cast of the upcoming Hollywood sci-fi horror film "Resident Evil: Retribution", the fifth installment in the "Resident Evil" film series. Hollywood actress Milla Jovovich, who plays the lead character Alice in "Resident Evil: Retribution", announced via Twitter on Tuesday that Li will play the mysterious secret agent Ada Wong in the film. "Resident Evil: Retribution", which is directed by Jovovich's husband Paul Anderson, is expected to be released in September next year. The "Resident Evil" films were inspired by a popular survival-horror video game series of the same name, that pits players against zombies, mutant dogs and various other abominations. The films feature many characters from the games though their storylines differ quite significantly from that of the games. "Resident Evil: Afterlife",the latest film in the series, grossed a whopping US$300 million (S$383 million) worldwide. Born on November 25, 1986. 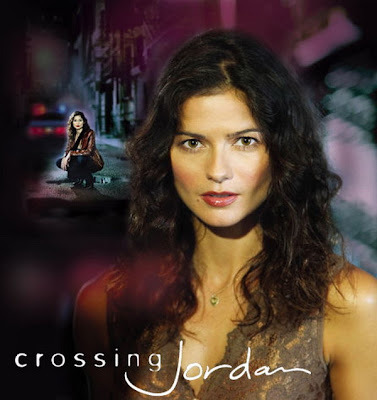 Jillian Noel "Jill" Hennessy is a Canadian actress and musician know for her roles on TV Series Law and Oder and Crossing Jordan. Jillian was born in Edmonton, Alberta. Her father, John Hennessy, was a meat salesman and sales/marketing executive, a job that required considerable travel and resulted in frequent moves for the family. Her mother, Maxine, a secretary, left the family in 1982, leaving her daughter to be partially raised by her paternal grandmother, Eleanor, in Kitchener, Ontario. She has a younger brother, John Paul Hennessy Jr.( also known as J.P.), and an identical twin sister, Jacqueline, who is a magazine writer and TV show host in Canada. Hennessy has Irish, French, Swedish and Italian ancestry on her father's side, and mostly Ukrainian, as well as Austrian, ancestry on her mother's. She graduated from Grand River Collegiate Institute in Kitchener, Ontario and used to busk in the Toronto Subway. Hennessy and her sister played twin call girls in 1988's Dead Ringers. She was short-listed for the role of Dana Scully, on The X-Files. Hennessy is most well-known for playing assistant district attorney Claire Kincaid on Law & Order (1993 – 1996) and for playing the lead role as medical examiner Jordan Cavanaugh on Crossing Jordan. In 1999 she played Lisa in Chutney Popcorn. In 2000, Hennessy wrote, produced, and co-directed with Elizabeth Holder an independent film called The Acting Class. Inspired by a true story, the mockumentary looks at the trials and tribulations of a dysfunctional acting class. The film co-starred her sister, and included cameos by a number of Hennessy's former Law & Order co-stars. In 2001 she portrayed Jackie Kennedy in the film Jackie, Ethel, Joan: The Women of Camelot. In 2003 she made a cameo appearance in the film Abby Singer. She appeared on Broadway in the musical Buddy - The Buddy Holly Story in 1990.In 2005 she appeared in the tv show Las Vegas as Jordan Cavanaugh... Most recently, she portrayed Tim Allen's wife in the 2007 film Wild Hogs. On June 9, 2007, she received a star on Canada's Walk of Fame. She also recorded an album in Austin, Texas, Ghost in My Head, which was released in June 2009. All resources were copyrighted from the source. For Personal and Entertainment purposes only.